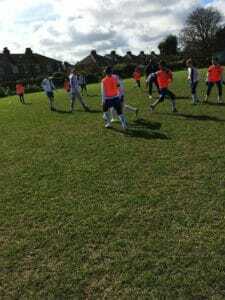 With the team having a great first season and being in 3rd place in their league, they were visited by Sol Campbell for a training session. 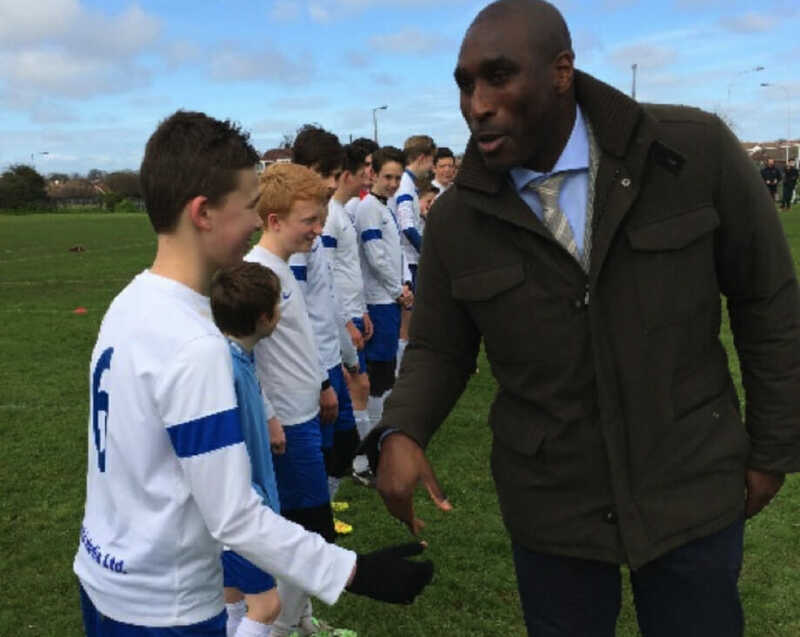 Trying to help out with the fundraising for a new club house, Sol Campbell visited the Warten Rd training ground to take part in session with all of the teams. After playing in a 6 a side game with the U14 Colts, he also signed a mixture of shirts, boots and even a shinpad. We have been asked not to mention that one of the players from the U14 colts team nutmegged Sol during the game. If you would like to purchase any of the signed memorabilia from the day including the signed boots that he was wearing during the visit please contact Club Chairman Maureen Fiander on 01843 853857.